Over 72% of Bhutan total land area is covered with forest, more than the 60% forest cover that the Constitution of Bhutan mandates the government to maintain for all times to come. The forest cover is a rich mix of fir, mixed conifers, temperate and broadleaf species. Bhutan boasts over 7,000 vascular plants, 360 orchid species, 46 species of rhododendron, and other rare and endemic species, including over 500 species of medicinal plants. 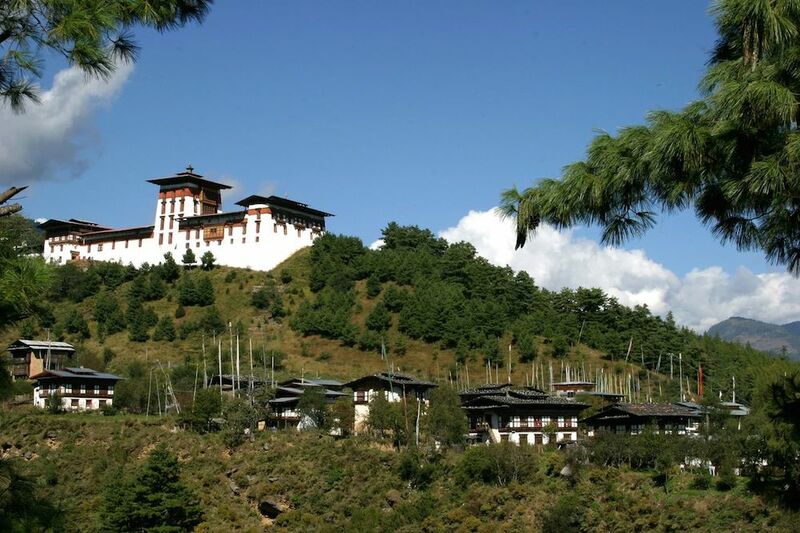 Among the top ten biodiversity hotspots in the world, Bhutan is truly a natural haven. Bhutan has around 770 species of birds, which includes the plumage, the Himalayan griffen, the unique high- altitude wader, the ibisbill, the spectacular hornbill, barbets, sunbirds, fulvattas, yuhinas, cuckoos, and many more. The country also has a great variety of endangered species like the black- necked crane, the monal pheasant, peacock pheasant, raven and the Rufous- necked hornbill. Along its southern border, the narrow tropical and subtropical belt supports the Asiatic elephant, greater one-horned rhinoceros, gaur, wild water buffalo, hog deer, tiger, clouded leopard, hornbill, trogon and other mammals and birds characteristic of indomalayan species. Only 150 kilometers to the north, high Himalayan fauna include the blue sheep, takin, musk deer, snow leopard, wolf and other species characteristic of the Palearctic realm. Bhutan is also known for its wintering populations (about 350 birds) of the vulnerable black-necked crane in the valleys of Phobjikha, Bomdeling and Gyetsa. We offer the best package rates and 100% return on your money value is fully assured. 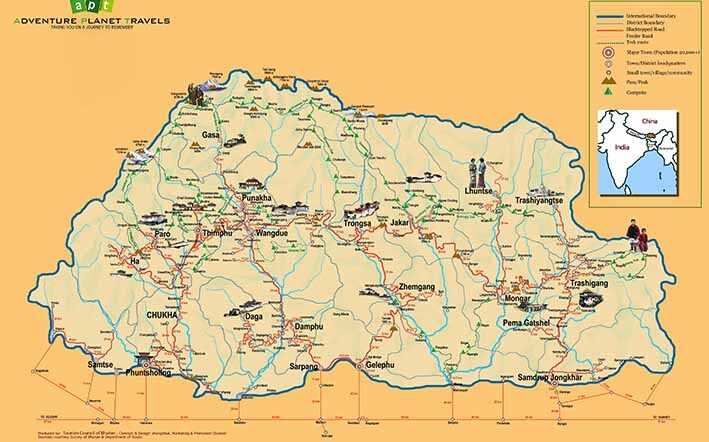 With APT you will enjoy the privilege of wide selection of your hotels and creatively hand crafted Bhutan Tour Packages to suite your preferences. 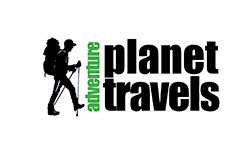 © Adventure Planet Travels - 2011-2014. All rights reserved.